If you have been reading our blog long enough, then you know that bankruptcy is not about counting your losses but protecting your assets and redistributing your earnings to do the most good for your financial future. You might also be aware that business bankruptcies –and what makes us feel so good about them—are also known as financial restructuring. 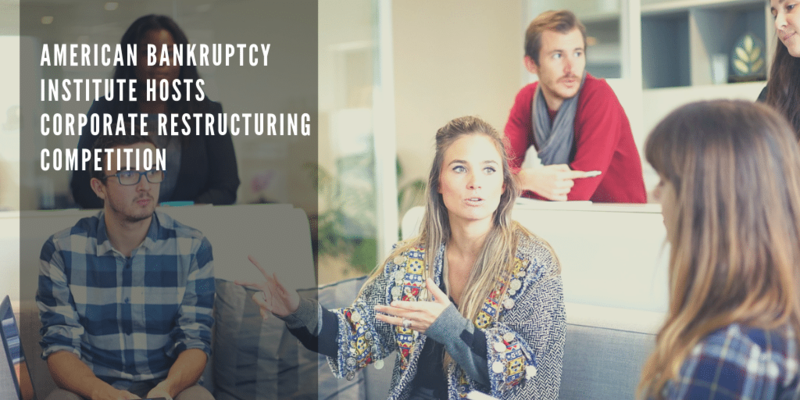 Restructuring is what makes bankruptcies so helpful. But did you know that the miracle wrought by restructuring is a big enough deal in the corporate world that some of the most prestigious business schools in America have an annual restructuring competition? The American Bankruptcy Institute (ABI) recently hosted its 15th Annual Corporate Restructuring Competition. Each year, the event allows business school students to participate in a crisis management exercise. Seven prestigious business schools participated this year. Schools that participated this year include the University of Chicago Booth School of Business, Columbia Business School, Cornell University SC Johnson College of Business, Michigan State University Eli Broad College of Business, New York University Stern School of Business, University of Virginia Darden School of Business and the Wharton School at the University of Pennsylvania. Teams from these schools worked to solve a realistic crisis-management scenario involving a troubled business. ABI is hosting its Complex Financial Restructuring Program in Las Vegas next month. You can read more about that program on its website. In addition to corporate restructuring, there are additional options for struggling businesses. Under a Chapter 11 bankruptcy, businesses can restructure their business debts. For instance, businesses may be able to force creditors to accept reduced payments. Businesses may retain control of operations during a Chapter 11 case. Creditors cannot seize important assets while the bankruptcy’s automatic stay is in effect. Due to these benefits, businesses can improve cash flow while finding new ways to become profitable again. Many famous companies have filed and survived Chapter 11. Some of these companies are household names. American Airlines, General Motors, Marvel Entertainment and Six Flags have all filed for and thrived after their Chapter 11 cases concluded. Smaller companies can also benefit from Chapter 11 bankruptcy in the same way. The Sader Law Firm has extensive experience with business bankruptcies. If your business wants to explore debt relief options, then we encourage you to contact us by calling (816)281-6349 or by using our online case review form.